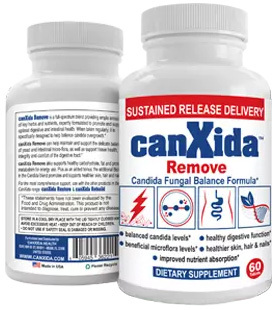 Candida Case Studies: Meet Anne - YeastInfection.Org by Eric Bakker N.D.
September 5, 2013 by Eric Bakker N.D.
Anne, age 56, is an accountant who came to me complaining of having had vaginal thrush “forever.” She mentioned that she first noticed this most annoying problem when she was in her mid-twenties after she came back from England to New Zealand to live and work. About ten years ago she started to develop constipation and this later turned into irritable bowel syndrome about six years ago. She has had two marriages, and her second marriage was about to come to an end. Anne has led quite a stressful life, her first husband committed suicide when she was in her mid-thirties, leaving her with two young children. Her son found if difficult going and didn’t really adapt to a stepfather coming into his life, which caused additional stress. Anne went through a period of several years of financial hardship with her second partner who turned out to be less than supportive. Anne is a particularly sensitive woman, and has had to rely on sleeping tablets and regular headache medications as well. I soon realized that she was adrenally fatigued and in fact was severely affected; as she has had to juggle two jobs, raise her children literally by herself and cope with the pressures of dysfunctional relationship. She took it very hard when her mother died two years ago and still has not resolved her grief. Anne’s diet has become very restricted since her doctor diagnosed irritable bowel syndrome, and she has noticed that many of even the most common foods were now causing digestive upsets, making it very challenging for her to enjoy eating out or even socializing with friends. That’s when she decided to visit my rooms. The condition she most wants to conquer however is that annoying thrush, but feels that nothing can be done because her case is hopeless and her doctor has long given up. I worked with Anne for several months and initially treated her adrenal fatigue and at the same time placed her on the Candida Crusher Program. I asked Anne to do a salivary cortisol test that revealed a very low morning cortisol level, indicative of severe adrenal fatigue. Likewise, a stool test revealed that she had yeast in all three stool samples, from samples taken on three concurrent days. After following my two-stage thrush eliminating protocol (in this book) it took almost four months to get rid of her thrush, but it has now gone entirely. As her adrenal energy improved I noticed some remarkable changes in Anne, she finally plucked up the courage to leave her second husband and now happily living alone with daughter and her two cats. Slowly but surely, Anne began to tolerate an increasing amount of foods that she had been unable to eat for many years. She also started to gain weight and looks much healthier today than she did a few years ago (her weight hit rock-bottom at 84 pounds but is now a healthy 120 pounds at 5’ 7”). These are the chronic cases that are often discarded by many practitioners or simply placed in the too hard basket. It is much easier to spend five or ten minutes with the patient and to shuffle their drugs or supplements around when they return for a follow-up visit than it is to deal with causes of their chronic health problems. Such chronic patients end up more and more unwell as their yeast infection and adrenal fatigue slowly but surely become increasingly chronic as the years roll by. What started out as a feeling of occasionally being unwell eventually gets to the stage where the person’s occupation and livelihood are threatened and their lifestyle becomes more and more compromised, by the time they come to me they sometimes have been on a government sickness hand-out and are stone broke from years of paying out for these ineffective and generally useless treatments. Have You Ever Considered Colonic Irrigation? In my experience, if the patient does not improve, the whole case needs to be re-taken and the root causes finally addressed, and if you dig deep enough you will often find yeast or bacterial overgrowth in their digestive tract along with a pattern of adrenal fatigue from many years of dysfunction.